Why Do We LOVE Healthinomics? Gorgeous social media images you don't have to create! You can brand them to your day spa and then schedule away. And they are constantly adding new bundles! 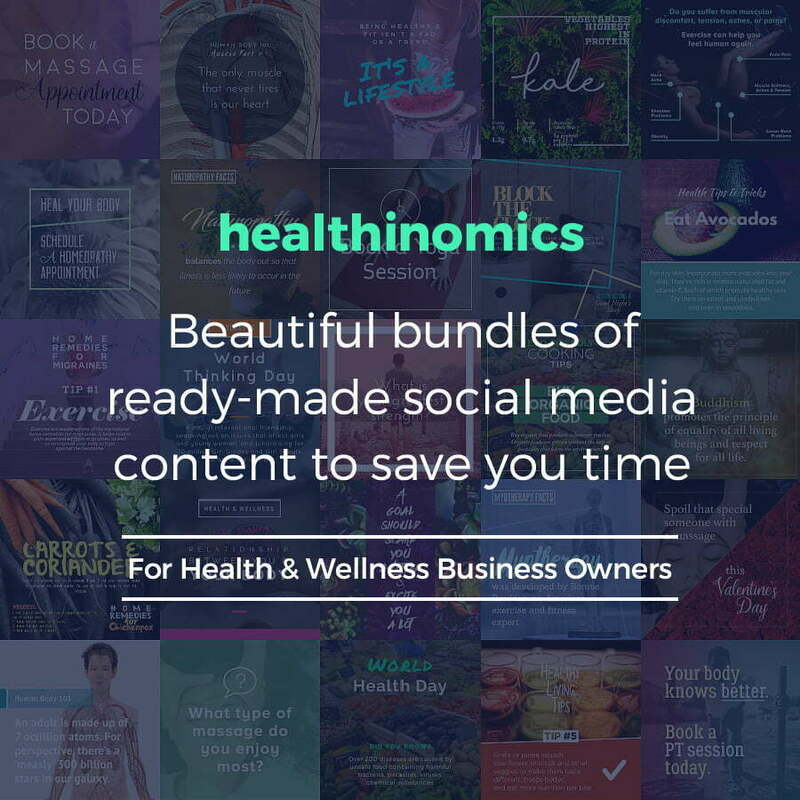 For less than the price of a massage, you can get a month's worth of social media posts to promote your business!